3DLAC is a specially designed lacquer spray for FDM 3D printing: low smell, fragrance-enhanced scavenger and high temperature resistance. Before printing, spray the 3DLAC on the printbed. Your prints will adhere well to the printbed. It can be used for either ABS or other materials that have high warping. 3DLAC is easy to clean. Just use a damp cloth to swipe the printbed. The 3DLAC is so strong you can print multiple times on the printbed without using new spray. 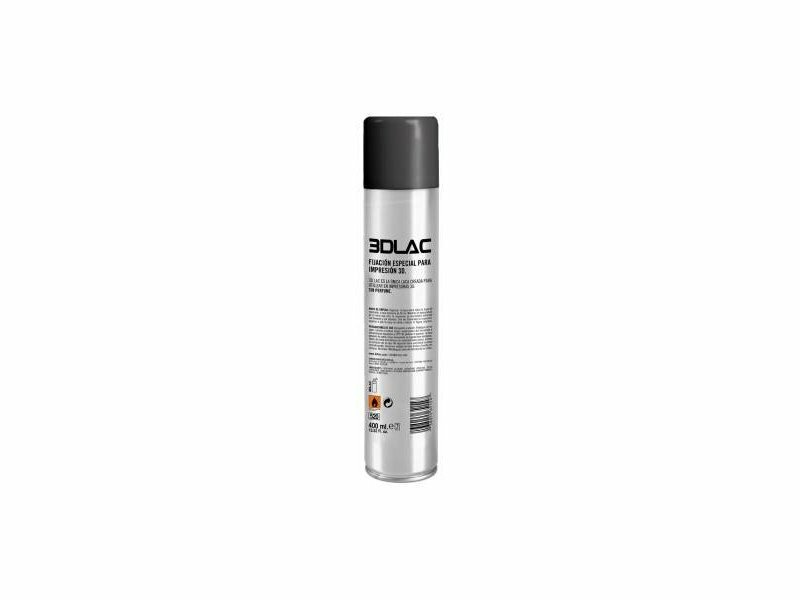 With 400ml spray, you are guaranteed to print long for a reduced cost. Shake the spray can good before utilizing. The print will not move on the printbed during the print.